Analysis of mobile traffic during the second half of 2009 shows YouTube accounting for a tenth of all data consumed on the move, but P2P is still clogging cells. 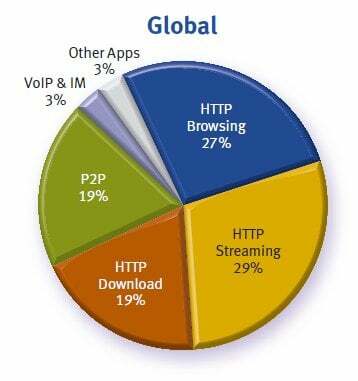 Analysis from Allot Communications, providers of network optimisation for operators, shows that streaming over HTTP is the application of choice for today's mobile user. P2P traffic is still significant, clogging up the busiest five per cent of cells to the tune of 34 per cent, compared to 12 per cent overall. But HTTP downloads account for 19 per cent of all mobile data, worldwide, while browsing consumes 27 per cent and streaming (over HTTP) accounts for 29 per cent of the total. VoIP and IP are still niche applications, filling only three per cent when combined, leaving other applications to consume the remaining three percent. But when mobile users aren't watching YouTube videos (which account for 32 per cent of the streamed video) they're updating Facebook - usage of which grew by 180 per cent during 2009. 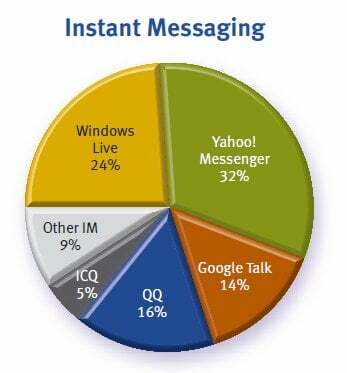 Skype still dominates VoIP traffic, with 77 per cent by volume, but things are less clear-cut when it comes to messaging, where Yahoo leads but is closely followed by Windows Live amongst others. Allot gathered the data using its installed base of servers. The company reckons that it covers 180 million mobile subscribers around the world - a decent sample size.